MAY IS WINES OF TURKEY MONTH THANKS TO VINKARA WINERY! This is the third of seven reviews of wines from the Turkish winery Vinkara. To learn more about the history of Turkish wine, what's going on with it today, and more on Vinkara, check out Tarhun Returns: The Resurgence of Turkish Wine. Narince is an indigenous grape to Turkey, originating up by the Black Sea. It's pronounced nah-rin-djah and means "delicately" in Turkish. DNA shows that, even though it's a white grape, Narince is the love child between two Anatolian red grapes, Kalecik Karasi and Dimrit. I've got two different tiers of Vinkara's Narince and Kalecik Karasi being reviewed this month. 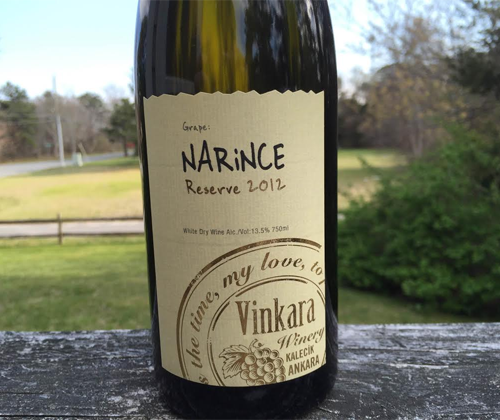 I've already reviewed Vinkara's entry level Narince but this is their Narince Reserve. It's gently pressed and fermented in stainless steel, aged in neutral French oak on the lees for fourteen months, and aged a further six months in the bottle before release. It's a darker straw yellow than the entry level Narince, which itself was a dark straw yellow. Yet again, just a beautifully colored wine by Vinkara. Orange is the first thing to hit my nostrils, followed by vanilla pudding, lemon custard and white flowers. In the mouth it's full bodied with medium acidity and a gorgeously creamy mouthfeel. There's flavors of orange, vanilla and walnuts. The finish is spicy, a little oaky and has an uplift of acidity. In the first Narince review I said that it would be a great alternative to Sauvignon Blanc and Pinot Grigio as a crisp, summer refresher. 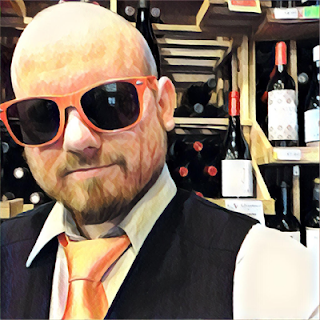 This guy, though... this guy is something that Chardonnay lovers need to try. It's got everything that you love about Chardonnay but with its own identity. I enjoyed the crap out of it and I totally recommend it for $25!